With seven months until the event, over 400 exhibitors have already joined the inaugural Automechanika exhibition in the UK. First planned in one hall, the event now spans three, taking over 21,000 sqm of space at the NEC. The initial forecasted amounts of visitors and exhibitors have been doubled due to the massive interest in the event. Almost all the big names in the industry are participating, from Schaeffler, Delphi, Denso, Valeo, 3M, TRW, ZF Friedrichshafen, NGK, Mann + Hummel, Robert Bosch, Tetrosyl and Yokohama as well as over 70 international exhibitors. National pavilions from Italy, Spain, China and Taiwan will show visitors companies looking to export to the UK. The SMMT (Society of Motor Manufacturers & Traders) announced earlier this month that it would host two major industry events at Automechanika Birmingham, the Open Forum and Meet the Buyer, two high level conference and scheduled meeting programmes, targeting the supply chain. In addition to this, SMMT are looking at several other conference initiatives. Simon Albert commented â€œthese events give our visitors excellent opportunities to combine networking with our long list of exhibitors, alongside first class educational contentâ€. Britainâ€™s car manufacturers have also been quick to lend support to Automechanika, with Jaguar Land Rover, Nissan, Vauxhall/GM and Ford all releasing positive messages of support and interest in the event. 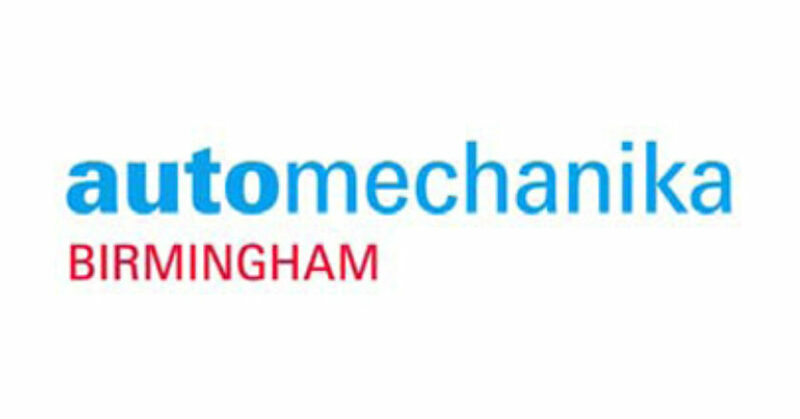 Automechanika Birmingham will take place from 7-9 June 2016, in halls 9, 10 and 11 at the NEC Birmingham. 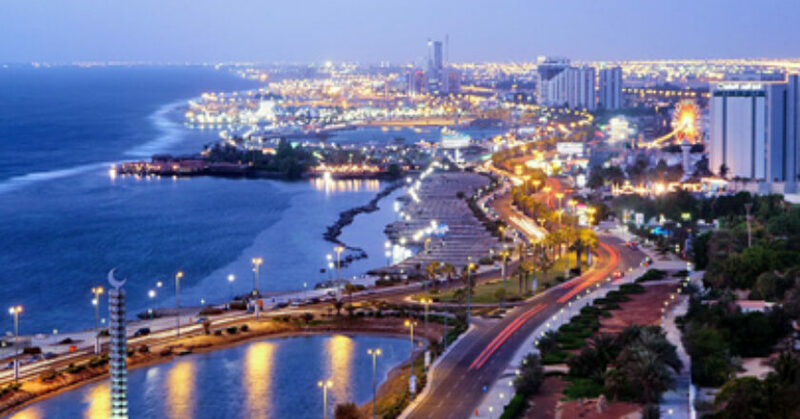 Exhibition space for the inaugural Automechanika Jeddah 2016 is fully booked, as the countdown begins to the start of Saudi Arabiaâ€™s only dedicated automotive aftermarket trade show early next year. With more than 150 exhibitors signing on, Automechanika Jeddah will span 7,100sqm of exhibition space when it opens from 26-28 January 2016 at the Jeddah Centre for Forums and Events. The three-day exhibition is organised by Messe Frankfurt Middle East in partnership with Saudi-based Al-Harithy Company for Exhibitions (ACE), and is the 15th global instalment of Automechanika, the worldâ€™s leading international automotive trade show brand. The rush to participate by international and regional manufacturers alike is a testament to the overwhelmingly positive sentiment that exists in Saudi Arabiaâ€™s vast automotive aftermarket. Research from analysts Frost & Sullivan indicates the Kingdom’s demand for Commercial Vehicle spare parts alone is expected to reach US$3.65 billion by 2020, growing at a compound annual growth rate of 10 per cent, and comprising 66 per cent of the Gulf Regionâ€™s total demand. And with more than 10 million passenger vehicles expected to ply the Kingdomâ€™s roads by 2020, up from the seven million in 2013, the opportunities are plenty for manufacturers of aftermarket spare parts, accessories, components, tyres, batteries, systems and electronics. Automechanika Jeddah 2016 will focus on the five core product sections of Parts and Systems; Accessories and Tuning; Repair and Maintenance; Tyres and Batteries; and Service Station and Car Wash. Nicholas Brunet, Country Business Leader at 3M Industrial Business Group, Saudi Arabia, said: â€œWe are using this opportunity at Automechanika Jeddah to connect with industry experts and share with them our science based technology and passion for the automotive industry. 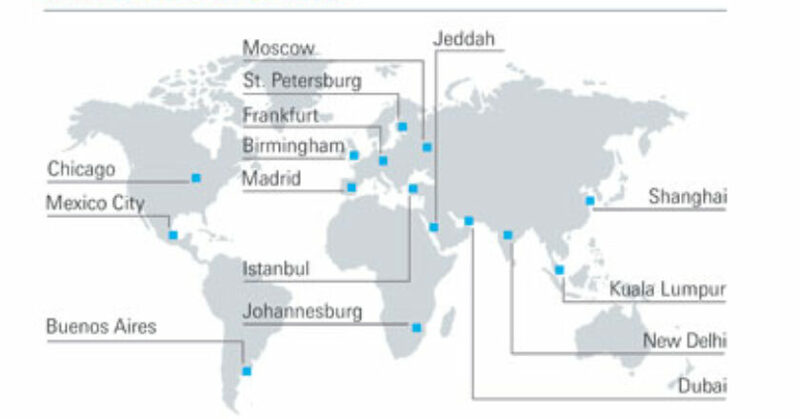 3M decided to be closer to their automotive customers in Saudi Arabia by having their Automotive Aftermarket Divisionâ€™s staff based in the major Saudi cities of Jeddah, Riyadh, and Dammam. 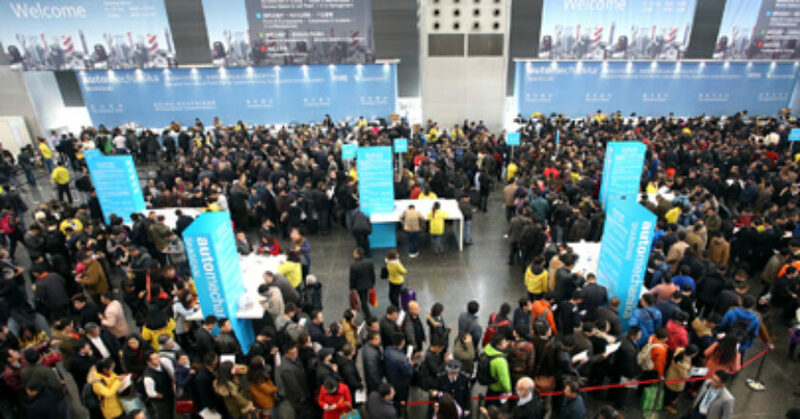 Asiaâ€™s largest trade fair for automotive parts, accessories, equipment and services, Automechanika Shanghai, will move to its largest venue and exhibition space to date for the 2 â€“ 5 December 2015 show and space is quickly running out. The new location, National Exhibition and Convention Center, Puxi, Shanghai, is an expanded space optimising 280,000 sqm, which is an extraordinary increase of 27 percent from the previous year. The additional space will also house increased capacity for the approximate 5,300 worldwide exhibitors, a boost of 8 percent from 2014. With 90 percent of space already sold out, more brand names will be presenting the latest technologies in the major automotive sectors and new products and services will be launched during this yearâ€™s show. The influence of Automechanika Shanghai continues to expand annually with many newcomers coming aboard and countless repeat exhibitors opting to expand their exhibition space to reach a broader market. Also, as China has become the manufacturing epicentre of an extremely fast growing automotive market, more companies worldwide are eager to explore the automotive sectors and the possibilities available to them. The exhibition space of the International Hall has therefore expanded by a record-breaking 30 percent. Making use of the largest portion of exhibition space among sectors, the Parts & Components hall will include additional new leading exhibitors this year, including: Aisin Seiki, Bilstein, DENSO, Du Pont, Magneti Marelli, NGK and Sofima. Companies returning this year include: AE, Asia-Pacific, BAAM, Bosch, Brembo, Chery, CCAG, CNIGC, Continental Automotive, ContiTech, Cummins, Dana, Delphi, FAWER, Federal Mogul, Hella, Mahle, Mann+Hummel, NTN-SNR, Osram, SAIC, Schaeffler, SUMEC, TRW, Valeo, VIE, Wanxiang, Weichai and ZF. Improved economic conditions among Chinese consumers has shifted the buying power towards more upscale vehicles and products. The quality of goods and maintenance is of greater importance and many shops and companies have enhanced their market to reflect this concept of higher expectations among consumers. Because of this shift in consumer needs, companies within the Repair & Maintenance sector realise Automechanika Shanghai is the perfect platform to demonstrate quality products and market their brand to a wide and knowledgeable audience. Over 700 worldwide exhibitors from the Repair & Maintenance sector looking to capitalise on this shift in consumer spending will take part in the exhibition. More leading brands will be incorporated from local Repair and Maintenance hubs, including Guangdong, Hebei, Liaoning, Shandong and Yangtze River Delta in China. Several companies within the Repair & Maintenance sector will be returning to the fair this year, including: Balance, Bantam, Beissbarth, Bosch, Bright, EAE, Friend, Guangli, Jingzhongjing, Jonnesway, Launch Tech, Lawrence, Newstar, Panasonic, R&H, RAV, Sankyo Reels, SUNSHINE, TAMP, TOJUST, WashTec, Xianghong, Technovector and Zonyi. New exhibitors will be joining as well, including Alight, SATA and Telwin. Since 2011, the Accessories & Tuning sector of Automechanika Shanghai has had huge success, increasing by almost 500%. The high demand for car care and tuning related products within Chinaâ€™s automotive aftermarket has proven the strength of not only the Accessories & Tuning sector, but especially the Automechanika Shanghai show. To build on the ample success of the market, the Accessories & Tuning Key Brand Hall has been further amplified to attract and gather big companies from this sector. The significant jump in this sectorâ€™s participation in only five years confirms the high regard companies have for the Automechanika Shanghai show as an important channel for their business development, branding, networking and success. Previously exhibiting companies continue to participate in the show and several new brands sign up annually to take part. New leading brands in the sector joining the show this year are: Dometic, Fandebao, LUHAO, NFA and WIMI-HEIBO. Returning brands include: Autoaid, Botny, BULLSONE, Candid, Carlas, CARORI, Chief, cnlight, Dingliang, Fangshuo, Foshan lighting, High-Tech, Ideal, Jiulong, Liqui Moly, Rowe, SONAX, STARWORKS, STRONA, Totron, Tuff Plus, U-DRIVE, YTH and Yunhan. Also, more high-end auto beauty care products names are joining the show for the first time. One of the exhibitors utilising the expanded Accessories & Tuning sector space is EUROLUB GmbH. In the field of car care products including lubricants, oils, and winter chemicals within the German market, EUROLUB GmbH is one of the foremost commercial enterprises. The company now ships their products to more than 30 countries and is looking to capture the Chinese market. In addition to expanded product lines within the Accessories & Tuning sector, there will also be an increase in Infotainment (Consumer Electronics). The unique position of Automechanika Shanghai offers a compelling gateway for the business development of imports and exports and the further expansion of infotainment-related brands, such as Dometic and NFA to emerge. The tuning portion of the sector has also grown with companies from the two main tuning production hubs in China â€“ Guangdong and Jiangsu. These Tuning LED and HID lighting companies include cnlight, Dingliang, Foshan lighting and U-DRIVE. From 13 to 17 September 2016, Automechanika Frankfurt will once again be the international meeting place for the automotive service industry. To date, more than 1,700 exhibitors from 59 countries have registered and 65 percent of the exhibition space is already taken. In this connection, Olaf Musshoff, Director Automechanika Frankfurt, explains: â€œThe high level of demand and internationality at this early point in time underscore the significance of the fair for our customers who use Automechanika as an innovation platform for their business, and for making new contacts and networking. The numerous renowned suppliers and manufacturers from the equipment, parts, accessories, management and service segments include Bosch, Brembo, Continental, Christ, Denso, Hella, Istobal, KAW Kiehl, Maha, Mahle, Schaeffler, Wabco and ZF. Around 25 percent of exhibitors will present products and services for the truck sector. The early-booking rate is valid until 2 August 2015. For further information for exhibitors and registration details, please see the utomechanika Frankfurt website at www.automechanika-frankfurt.com. Today, more than ever before, Automechanika is an important platform for innovations and future-oriented solutions and trends and, for the first time, will present the after-sales world of the future as â€˜Tomorrowâ€™s Service & Mobilityâ€™ in the â€˜Festhalleâ€™ of Frankfurt Fair and Exhibition Centre. Accordingly, visitors will have the chance to see the workshop of the future, as well as products and solutions for the connectivity, alternative drive trains, automated driving and mobility services segments. As in the past, the subject of basic and advanced training will be one of the most important focal points in 2016. Aimed primarily at workshop employees and proprietors, the range of free certified workshops and training courses, some of them in English, will also be expanded. Automechanika Frankfurt also gives companies and potential trainees the opportunity to meet at the fair. Additionally, the Automechanika Academy is a unique information platform with numerous lectures by renowned experts. The Automechanika Innovation Award honours the most innovative products and solutions in nine categories with a tenth being added in 2016: the â€˜Green Awardâ€™, which goes to the most sustainable product among all those entered. All award-winning products will be on show at a special exhibition throughout Automechanika Frankfurt. 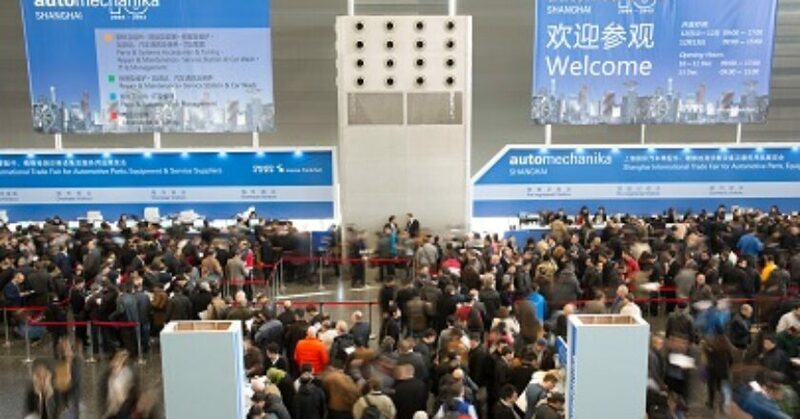 The 2015 edition of Automechanika Shanghai, Asiaâ€™s largest trade fair for automotive parts, accessories, equipment and services, will be held 2 â€“ 5 December 2015 at the new location, National Exhibition and Convention Center, Puxi, Shanghai. The expanded venue will accommodate the showâ€™s substantial development and house the 280,000 sqm exhibition space, which is an extraordinary increase of 27 percent from 2014. In addition to increased exhibition area, the number of worldwide exhibitors is also expected to increase to approximately 5,300 â€“ a boost of 8 percent. The success of the show has attracted new exhibitors including industry-leading brands consisting of AISIN CHINA, Blisten, Denso, Dometic, DuPont, Litens, SATA, SWISSVAX and TRIBOS, as well as more names from local automotive parts production bases. Exhibitors also include those from highly favourable and enterprising second- and third-tier provinces including Guangxi, Hebei, Hubei, Jiangxi and Sichuan who are eager to stand out in the huge global automotive market. Automechanika Shanghai has made a name for itself after many years of development, advancement and dedication to the industry since its establishment in 2004. It has built an international reputation as a major industry platform. The show is organised by Messe Frankfurt (Shanghai) Co Ltd, a subsidiary of Messe Frankfurt Exhibition GmbH, one of Europe’s oldest and largest trade fair organisers, and the China National Automotive Industry International Corporation (CNAICO), is an integrated state-owned enterprise specialising in international trade and exhibitions, with diversified operations across industries in China. As a result of Messe Frankfurt and CNAICOâ€™s robust worldwide resources and vast network, Automechanika Shanghai receives strong support from more than 50 local and overseas trade associations and government agencies. As attendance at Automechanika Shanghai has become a requisite for those in the automotive industry, the sheer scope and space of the fair must follow the thriving demand. The continued growth is also reflected in the varying sectors. The Parts & Components sector will expand exhibition space to 146,000 sqm to feature the latest products and technologies and the international hall will swell to 27,000 sqm. The Auto Air-Conditioning Zone in this sector will be further enhanced to accommodate over 200 companies of the entire supply chain. The Repair & Maintenance sector will be housed in a 40,000 sqm space to accommodate over 700 exhibitors from around the world and it will incorporate more leading brands from local repair and maintenance hubs, including Guangdong, Hebei, Liaoning, Shandong and Yangtze River Delta. Overseas countries and regions will also take part, including France, Germany, Italy, Japan, Korea, Taiwan and Turkey, showcasing their innovative and quality products and technologies. Quality buyers including those from 5,000 local distributors, 100,000 automobile maintenance companies and authorised service centres of renowned brands, 80 major car manufacturers and thousands of 4S shops will be invited to visit the show. One of the three major industry sectors, Accessories & Tuning, is projected to rapidly expand to 54,000 sqm, which is a 50% jump in space utilised from 2014. The Accessories & Tuning Key Brand Hall made its debut last year at Automechanika Shanghai due to an increasing market demand by consumers of high-quality specialised automotive goods. It will make good use of the bigger venue this year to showcase more innovative technology, products and services from leading brands. Tuning products will be further emphasised this year, with newly launched items introduced through fascinating onsite activities and hands-on demonstrations. More detailed and precise product categories including car care, consumer electronics and electronic appliances, interior and exterior accessories, as well as tuning products will be highlighted to demonstrate the development trends and concepts of the Accessories & Tuning sector. In addition to an expanded International Exhibitors & Key Brand Hall and added zones, the Premium Buyers Club will continue this year, which offers visitors an upgraded VIP buyer experience. This programme offers exclusive services for high-quality premium buyers at a senior management level, or those who hold full purchasing authority during the show. Benefits include pre-show updates, usage of facilities in the premium Buyerâ€™s Club Lounge and pre-arranged networking meetings with selected quality suppliers to make sourcing more effective. Automechanika Shanghai is one of 15 Automechanika fairs held in Africa, Asia, Europe and North, Central and South America. For more information about the Shanghai show, please visit www.automechanika-shanghai.com / www.automechanika.com or contact Messe Frankfurt (HK) Ltd, + 852 2802 7728 / [email protected]. The focus of this regional event is on the supply chain industry and will also target all aspects of the automotive aftermarket, bringing together exhibitors from the product groups of Parts and Components, Electronics and Systems, Repair and Maintenance, Accessories and Customizing, Management and Digital Solutions and Car Wash, Care and Reconditioning. The visitors are expected to come primarily from the UK. Automechanika Birmingham will play host to around 250 exhibitors and an expected 5,000 trade visitors and will take place in Hall 9 of the NEC. The event will be run under license in the UK by Forest Exhibitions Ltd. The Managing Director of Forest Exhibitions, Rob Sherwood, has been Messe Frankfurtâ€™s Sales Partner in the UK over the last eight years, responsible for bringing UK exhibitors and visitors to Messe Frankfurt events worldwide. Autopromotec has stamped its mark in Europe as one of the most specialised international exhibition of automotive equipment and aftermarket products. Autopromotec is a unique biennial show in Italy that deals with automotive equipment, accessories, services and products, automotive technologies and solutions, parts and tools, heavy and light machineries and all automotive devices and components. Over the years, the event has emerged to be a great platform that has given birth to several business connections and networking opportunities. 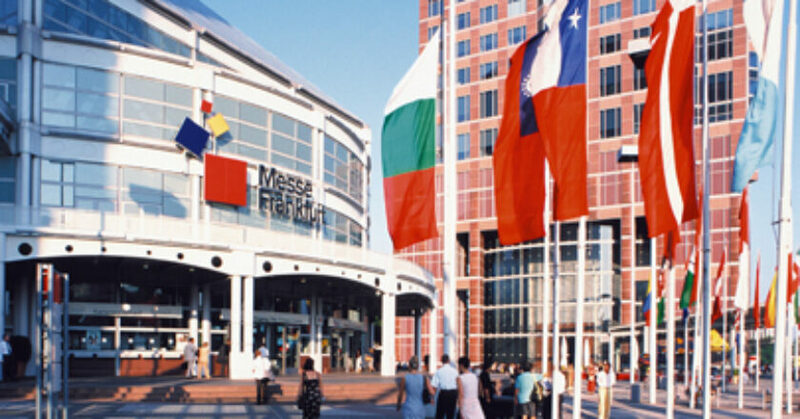 The last Autopromotec (2013) was characterised by more than 1500 exhibitors of which nearly 600 came from 52 different foreign countries; a large covered area of more than 135,000 square metres supplemented by an outdoors area of 20,000 square metres and a high visitor turnout of more than 102,000 with nearly 20,000 internationals. On the collision side, there was a large number of spray booth manufacturers exhibiting (CMC, Polini, Nova Verta, USI Italia, Saima, etc.) and straightening bench equipment (Car-O-Liner, Globaljig, Celette, Blackhawk, etc.). Pro Spot International had a team from their USA headquarters on hand to lend support to the European side, while paint companies were thin on the ground represented by Akzo Nobel, Mipa and Kapci Coatings. Three spray gun manufacturers were on hand, SATA, Walcom and Anest Iwata and a multitude of other suppliers such as Festool, sia Abrasives, Norton and more. 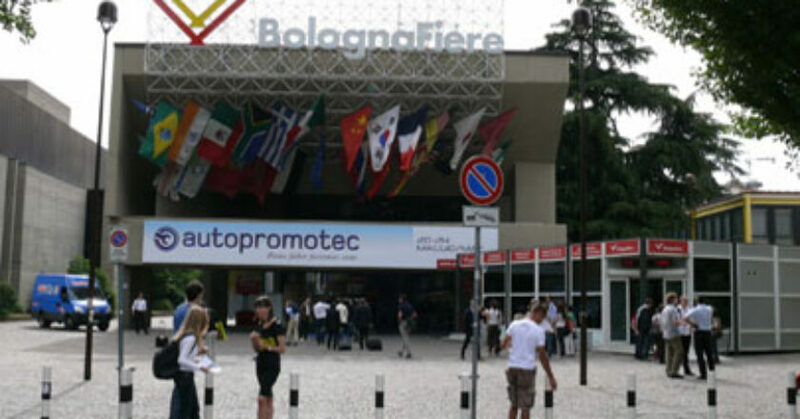 Autopromotec takes place at Bolognaâ€™s exhibition centre from May 20 to 24, 2015. 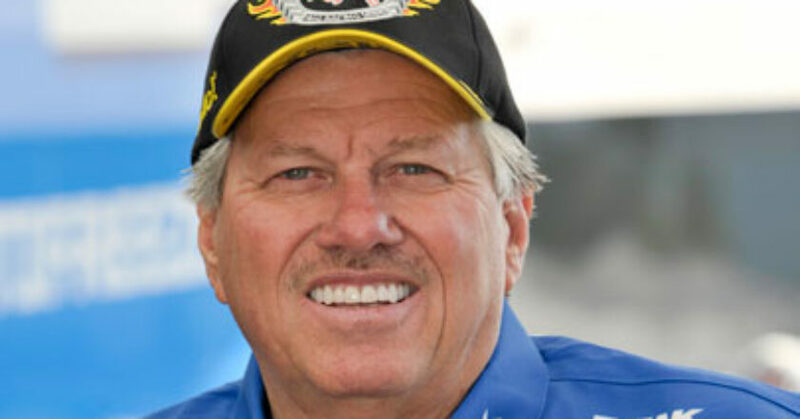 John Force is a 16-time NHRA Funny Car champion and an 18-time champion car owner. He is the most successful driver in funny car history with 142 wins to his credit as of press time. In addition to racing his own car, he also owns and manages a team of four cars including two driven by his daughters, Brittany and Courtney. Brittany Force finished the 2013 NHRA season as rookie of the year. In 2014 she raced her 10,000-horsepower top-fuel dragster to 10th in the NHRA point standings. She is currently eighth in points after the first few races of the 2015 season. Brittanyâ€™s fierce competitive spirit and family racing background will likely improve her position in the points and see her winning races well into the future. -CIECA, featuring NACE | CARS 2015 Conference + Expo July 22-25. Now in its 33rd year, NACE | CARS 2015 will feature numerous opportunities for technical training, business education, demonstrations, networking and technology showcases for stakeholders, owners, managers and technicians in the collision and service repair industries. 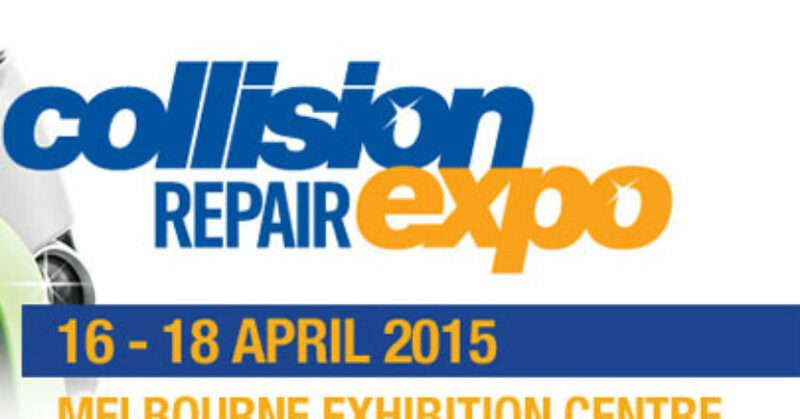 Visitor pre-registrations for the Collision Repair Expo to be held from 16 to 18 April 2015 at the Melbourne Exhibition Centre have broken previous show records. 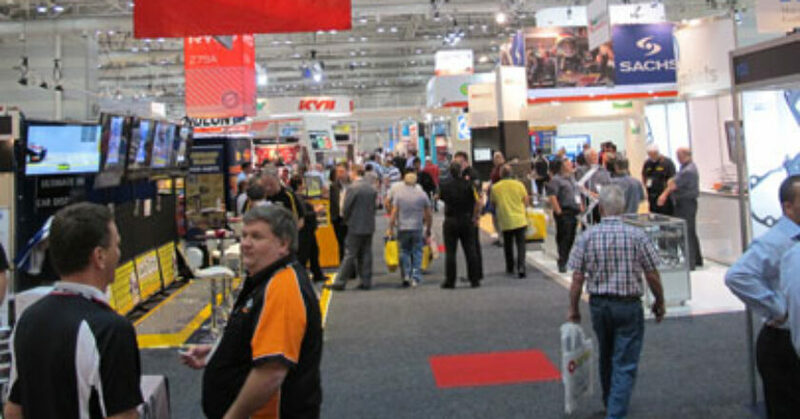 Pre-registrations are up 80 per cent this year compared to the 2013 Expo held in Sydney. The high pre-registrations indicate a potential record attendance for the show that delivers the largest and most comprehensive display of body finishing materials, crash repair equipment and tools presented by more than 70 top Australian and international exhibitors. As this is a trade only show, visitors must be qualified industry professionals. We encouraged you to pre-register to avoid queues at the registration desk when you arrive. Visit tradevent.live-site.co to register for Expo. In addition to the exhibition, there is a full educational seminar program covering topic ranging from technology updates, how to make your business better and the latest on industry issues such as data sharing. Registrations for the seminars are filling fast and bookings are recommended. Visit www.collisionrepair.com.au to book for seminars. The Expo also features an expanded spray booth program where you will see state of the art body finishing materials demonstrated live in front of you by the industry leaders, including Major Corporate Sponsor AkzoNobel Vehicle Refinishes. As the Collision Repair Expo is held every two years and alternates between Melbourne and Sydney, it will not return to Melbourne until 2019. A comprehensive seminar program to inform you about the latest technologies and business techniques will be a highlight of the 2015 Australian Collision Repair Expo to be held from 16 to 18 April in Melbourne. The Expo Seminar Program was developed by the organising committee, which is made up of senior collision repair industry executives. The team researched the latest innovations and trends in the crash repair industry and booked leading educators to present information that can make a difference to your business. Hosted by the Australian Automotive Aftermarket Association (AAAA), the Expo Seminar Program will provide workshop owners and managers, distributors and resellers with a once in every two year opportunity to focus on fresh ideas. The Collision Repair Expo is a trade only event. Entry is free â€“ including the Expo Seminar Program â€“ to qualified industry professionals. AAAA Executive Director Stuart Charity said challenging cutting edge technology issues will be addressed by the seminar presenters. â€œWe strive to keep Expo visitors up to date with all aspects of their operations, including changes to environmental requirements,â€ said Stuart Charity. Contributing to the Expo Seminar Program will be leading global paints and coatings company AkzoNobel Vehicle Refinishes (VR). AkzoNobel is continuing a three year partnership with the AAAA as the Major Sponsor of the Collision Repair Expo 2015. AkzoNobel VR will not disappoint at next yearâ€™s Expo with an impressive display of its latest state-of-the-art and innovative products, and leading color technology. Consistently ranked as a leader in the area of sustainability, AkzoNobel VR will showcase its comprehensive range of waterborne and low VOC paint systems. Expo visitors will have the opportunity to see for themselves the benefits of AkzoNobelâ€™s range of waterborne products with live demonstration sessions. With a focus on business efficiency, visitors can also discuss their business needs with the companyâ€™s expert Acoat Selected team on the stand. â€œWe are very pleased to continue to support such an important industry event in Australasiaâ€ said Manish Bhatia, Business Director, AkzoNobel Vehicle Refinishes, South Asia. â€œWe have a number of exciting innovations across our Vehicle Refinishes brands, Sikkens and Wanda, which will be showcased on our stand. Our key focus is creating sustainable solutions for our business partners that will benefit their business now and into the future. We look forward to another successful Major Sponsorship with the Collision Repair Expo in 2015,â€ he said. â€¢ AkzoNobelâ€™s Business Improvement and Process Consultant Bob Gilbert will speak on the topic Accuracy in Repair Planning: the Facts, Myths, and Mysteries of why itâ€™s so difficult to achieve. â€¢ National Technical Services Manager Paul Horvath will deliver a presentation titled Making the shift to waterborne: what you need to know. During the Expo, a wide range of surface coating products will be demonstrated live in a Lowbake spray booth. This booth is among the most popular destinations for Expo visitors because, while you sit comfortably behind a window wall, you watch the coating process and then see the finished result in minutes. AkzoNobel North America Business Improvement and Process Consultant Bob Gilbert will present a Collision Repair Expo seminar on the topic Accuracy in Repair Planning: the Facts, Myths, and Mysteries of why itâ€™s so difficult to achieve. From the panel perspective, I-Car Australia Operations and Technical Coordinator Mark Czvitkovits will present a valuable session devoted to working with a range of the new materials and components now being introduced to the chassis and body of modern vehicles. For the financial side of your business there will be a special session on how the smaller independent workshops can streamline their business and improve delivery to become competitive in the market. This is a great opportunity to gather information in a single sitting that would be time consuming to collect by yourself. To help market your business, Snap-on Tools communication expert Tara Poole will present a session explaining how to make social media work for you and identifying the common mistakes to avoid. This seminar will also outline the investment required in terms of time and money. Also focusing on marketing will be a seminar series by Workshop Whisperer Rachel Sheldrick. She will talk about increasing your prices without customer complaints in three easy steps, as well as how to turn customers into fans and other business tips. A big drawcard for many Expo visitors will be the Creating Winners seminar presented by the dynamic Jeff Hendler. He will present five basic principles to change the culture in your workshop to gain measurable successes â€“ a check list all business owners will want to learn about. It is important to emphasise that Collision Repair Expo visitors also have free entry to the huge Australian Auto Aftermarket Expo and its seminar program. This access enables crash repair professionals the opportunity to attend seminars on a range of technical issues, such as the Electrical and Electronic Circuits session to be presented by The Automotive Technician team. Stuart Charity said the 2015 Collision Repair Expo is a virtual sell-out. â€œThere has been huge demand by exhibitors for display space at the 2015 Expo and confirmed exhibitors represent the very best brands in the Australian collision repair industry,â€ he said. â€œThis means Expo visitors will have a unique one-stop-chance to see and experience the nationâ€™s largest display of the latest collision repair and body finishing materials, equipment and tools. â€œThe Expo will not return to Melbourne until 2019, so you want to plan now to take advantage of this opportunity next April. â€œIn addition to learning about new business opportunities by attending some seminars and visiting the busy exhibition, the Expo is a fantastic networking opportunity. You will catch up with people you donâ€™t get to see often and meet dozens of others that can contribute ideas and innovations to make your business better,â€ said Stuart Charity. AkzoNobel National Technical Services Manager Paul Horvath will deliver a Collision Repair Expo seminar titled Making the shift to waterborne: what you need to know.